Explain the importance of making design decisions that have positive impacts on student performance, indoor air quality, and health. 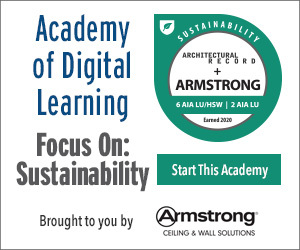 Determine ways to incorporate the design principles presented into buildings that are sustainable and high performing as shown in case studies. Designing K–12 learning environments is a task of considerable complexity requiring a great deal of information gathering, analysis, and synthesis to produce a successful final design. Some of the information is based on the stated needs and desires of a school client board, staff, or regulatory and funding authority. Other information is based on the physical parameters of an existing site or building that is the focus of a new or updated facility. But there is an additional source of information that can be highly valuable in making informed decisions on the ways that a school environment can be successful, namely independent scholarly research. In a world where information has become the new driver of so much of our activities and economies, research that is vetted and found to be reliable can help clarify facts from opinions and offer insights into multiple aspects of architectural design. As such, useful research is not limited just to that done in architectural schools or firms, but from many disciplines of art, science, technology, health, and others. Since architecture has always reflected, and often contributed to the culture of a particular place and time, it is no surprise that all of the disciplines and forces of our current culture come into play in the design of new or renovated schools today. School design can benefit from advances in research, development and testing focused on a wide variety of disciplines, including building science and human impacts. The Valley View Middle School in Snohomish, Washington, designed by Dykeman Architects, shown here, benefitted from research based design to create a building that would “achieve sustainability and teach stewardship of the environment” while saturating the building with natural light and providing panoramic views. Using work of this research subcommittee for inspiration, this course will address seven common areas of school design and seek to question the basis for design decisions around them. In essence, it is intended to be a call to action for designers to question if they are using research in their design to keep their designs fresh and current or making decisions purely based on quickly fading traditions or past practices. One area that is well known for incorporating research-based design is the use of natural daylight to enhance the effects on people in buildings, particularly schools. Numerous studies have indicated that students perform better when they are in classrooms and other school spaces that contain natural daylight. The design challenge comes in the form of not only controlling that daylight but also in finding the balance between appropriate lighting and energy usage. Since any window or glazed opening will allow heat as well as light to pass through it, the treatment of glass has received considerable research attention. Research, development, and testing have been done by a variety of organizations including institutions, third-party agencies, and manufacturers to identify coated glass products that can deliver high light transmittance while reducing solar heat gain. Such products are ideal for creating learning spaces with abundant natural light while helping to manage heating and cooling costs and the need for artificial lighting. Specifically, glass coatings can be tailored to achieve the right combination of thermal U-factor, solar heat gain coefficient (SHGC), and visible light transmission (VT). So, for example, a solar heat gain coefficient of 0.25 or less may be required in warmer climates, which would commonly mean a large loss in VT. Through research and development, coated glass products are now available that achieve SHGC of 0.23 and corresponding VT up to 68 percent. The color of the primary glass can be selected to suit a particular aesthetic and performance level with a variety of float glass colors, including low-iron (very clear), light gray, and light blue. The neutral appearance of the low-iron glass with a coating is the most similar to clear uncoated float glass, which has a normal green tint from the manufacturing process. Selecting the best version of such coated, insulating glass can help a project earn certification from green building rating systems such as LEED, the Living Building Challenge, and the WELL Building Standard. 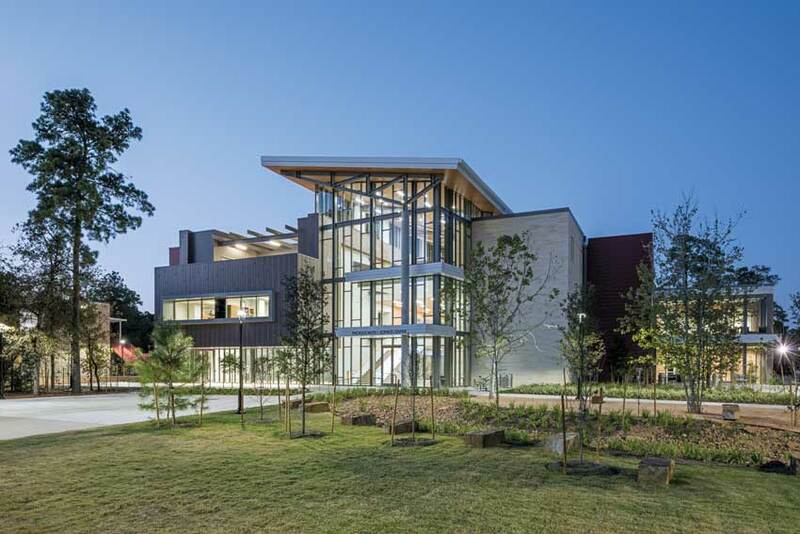 Incorporating high-performance coated glass, the John Cooper STEM School in Houston designed by Ziegler Cooper Architects includes a dramatic glass entrance that incorporates eye-catching aesthetics with a high level of light transmission coupled with low solar heat gain. This glass performance helps architects meet the most stringent energy codes in North America without sacrificing appearance. 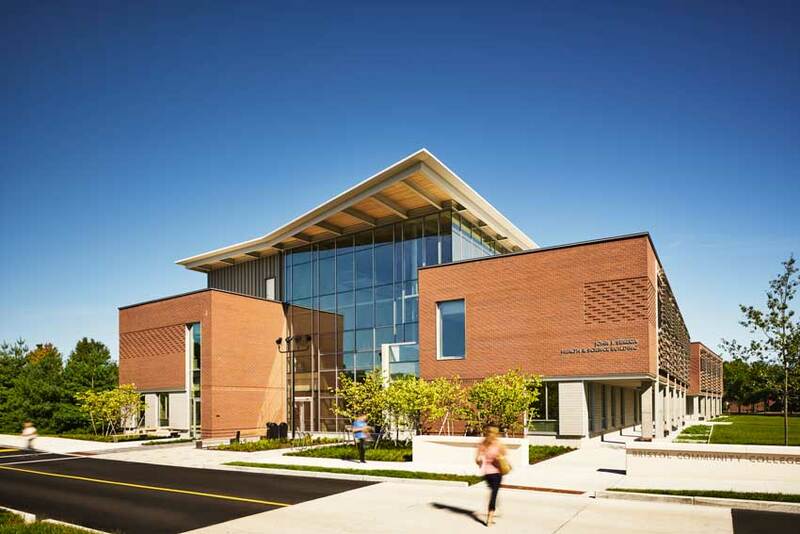 The Project: In constructing its first new building since 2001, Bristol Community College set ambitious goals to make its new science building elegant, inviting, and functional, as well as a model of sustainability with a goal of net-zero energy use. The Design Problem: A higher-education science building is not the kind of campus facility that typically can reach net-zero energy performance. Rather, this building needed to accommodate the latest and most advanced technological resources available for training in nursing, dental hygiene, and life sciences. Because of these tech resources, labs require high-energy inputs and outputs, including specialized ventilation, all of which need to be offset somehow in order to get to net zero energy use. The Solution: The building was carefully oriented and windows located so daylight enters where needed, including the south and north ends of the building through a two-story tall curtain wall and on the east side through a clerestory. The walls are glazed to allow views into the labs to pull daylight deeper into those interior spaces. There is also a shared student living room that enjoys natural light. Coated glass products were selected that exceed the performance of ordinary low-e glass, offering unprecedented solar control. Because the coating is used on low-iron glass, the views inside and out have a clarity that most closely mimics uncoated glass. This appearance is not achievable with standard substrates, which retain a green cast because of the iron content. The result is maximum light transmission throughout the interiors without high solar heat gain. The Results: The John J. Sbrega Health and Science Building has seen impressive environmental performance numbers and has set the standard as the first net-zero energy academic science building in the Northeast. It is also a certified LEED Platinum building, has earned the USGBC 2017 Green Building Showcase Energy Efficiency Award, and is an AIA Committee on the Environment (COTE) Top Ten 2017 Honoree. Acrovyn by Design is a wall-protection solution that can be customized with stock photography, original designs, curated patterns, and more. The artwork is protected by clear Acrovyn® sheet, an industry favorite known for its strength and longevity. Sun Controls are a customizable aluminum shade mounted on the side or top of a building and are available in horizontal and vertical applications. These unique systems are fastidious in their durability no matter how complex. Our Sun Controls help to regulate wind and snow loads and easily filter sunlight. Guardian CrystalBlueTM glass can be combined with many Guardian SunGuard® low-e coated glass products, giving architects a range of energy performances along with high visible light transmission in an in-demand soft blue color. CrystalBlue glass is available coated and uncoated at 6-millimeter thickness in a variety of sizes. Endurant® Washroom Systems, a division of Inpro®, fortify washrooms against commercial demands. Our BioPrism® Solid Surface shower surrounds, receptors, and toilet partitions provide a beautiful alternative to traditional tile that can cut days off installation. And unlike grout, solid surface doesn’t harbor mold or mildew, so washrooms stay cleaner longer. The PremiSys family of dedicated outdoor air systems is a premier solution for conditioning outdoor air for educational facilities. Designed to handle 100 percent outdoor air with optional energy recovery, PremiSys systems offer premium features ideal for handling ventilation air in variable refrigerant flow (VRF) applications. NanaWall FlexSpace evolves traditional classrooms into learning environments that are agile and adaptable. Optimizing the limited floor space within the building envelope translates into reduced construction costs. The multiuse spaces also contribute to reduced operating costs, as teachers can share resources and cross-collaborate, creating a more efficiently run classroom. Aria Partitions provide extreme privacy, many design choices, and innovative features that will significantly upgrade the look of your room and add a whole new level or privacy.